Dr. Vassilis Hatzopoulos holds a Ph.D from the University of Strasbourg, an LL.M. from Cambridge and a DEEA from the College of Europe, Bruges. He is a full-time Professor at the Democritus University of Thrace, where he also serves as Head of Department, and a visiting Professor at the College of Europe, Bruges (Belgium). He has also been appointed as a Special (Honorary) Ast. Professor at the University of Nottingham (UK). He practices as a lawyer at the Athens Bar since 1995 in the fields of EU internal market, network industries and public procurement. He has been advising the Secretary General of Commerce (2000-2002), on behalf of which he represented the Greek Government at the OECD Regulatory Reform Assessment (2001) and at the EC Commission SMEs initiative, under the Lisbon agenda. He has been also advising the Greek Rail (OSE, 2002-2004) on issues of liberalization and market deregulation. He has participated in several EU-funded projects within and outside the EU, has advised the EU Commission and Parliament on various issues and has acted as agent of the Commission in cases before the EU Court of Justice. His Ph.D., on the Free Movement of Services and the Principle of Equivalence and Mutual Recognition (Le principe communautaire d’équivalence et de reconnaissance mutuelle dans la libre prestation des services), has been published by Bruylant/Sakkoulas (1999). Further, he has written a book on Domain Names and the internet (jointly with another author, Nomiki Vivliothiki, Athens, 2000) and a book on the Essential Facilities Doctrine under EU and Greek Competition Law (Sakkoulas, Athens, 2002). His most recent book bears on ‘Regulating Services in the EU’ (OUP, Oxford, 2012). 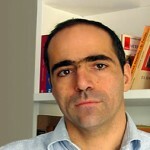 Moreover, he has published over 100 articles and case notes, in Greek, English and French, on various topics of EC law. Recently he has published: ‘From Hard to Soft: Governance in the EU Internal Market’ 15 CYEL 2012-13 (Cambridge: CUP, 2013) 101-137; ‘Authorisations under EU internal market rules’ in Allocation of limited authorisations and grants in the EU member states (Cheltenham: Edward Elgar, 2016 forthcoming); – ‘Des marchés publics à la délivrance des autorisations : Spill-over all over?’ Liber Amicorum Paul Demaret (Bruxelles : P.I.E.-Peter Lang, 2013), 325-381; ‘Du principe de non-discrimination (au niveau européen) au principe de la bonne administration (au niveau national)?’ CDE vol. 50, n. 3-4/2015 (à paraître). He is member of the advisory and/or scientific committees of several EU-related journals, such as the Maastricht Journal of International and European Law (Intersentia), the European Business Law Review (Kluwer) and the Health Economics, Policy and Law (CUP). Information and Communication Technologies, Energy, Rail transport, Higher Education – Mutual Recognition of diplomas, Private Wealth Management.